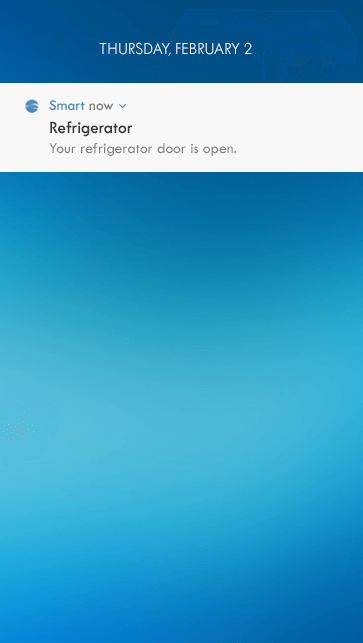 Kenmore Smart Appliances connect with your smartphone to do everything smarter and better — so you can, too. keep it fresh. keep it efficient. 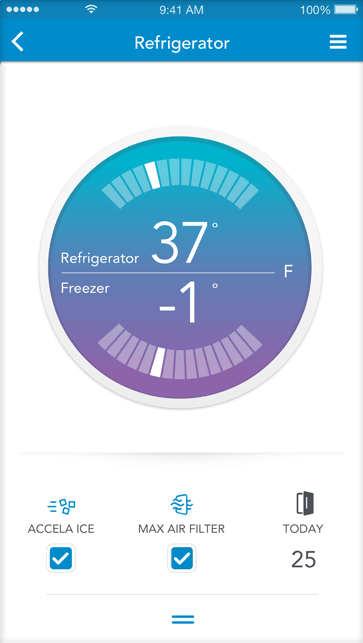 The Kenmore Smart Refrigerator lets you control and monitor operation from anywhere with just your smartphone. Start cranking out extra ice for an impromptu party. Get an alert if someone forgets to close the door. That’s convenience. That’s smart. Activate Accela Ice ™ and Max Air Filter, plus adjust temperature from anywhere. 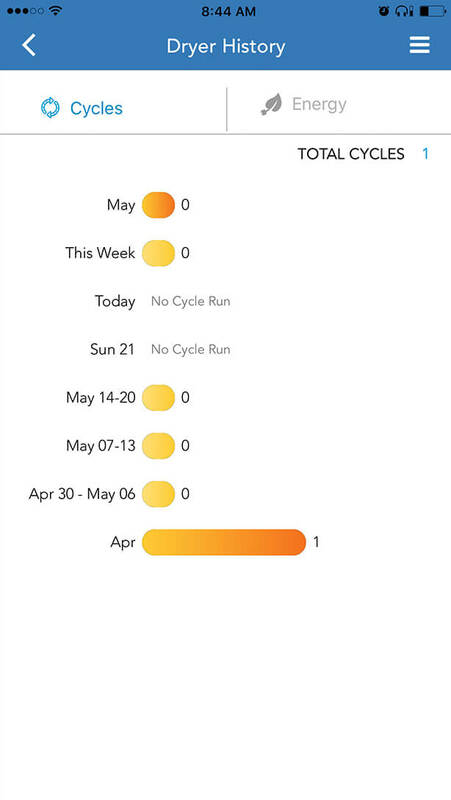 Monitor temp, filter life and door open/close status, plus get alerts with any needs. Built-in diagnostics help prevent unnecessary service by making maintenance easier. 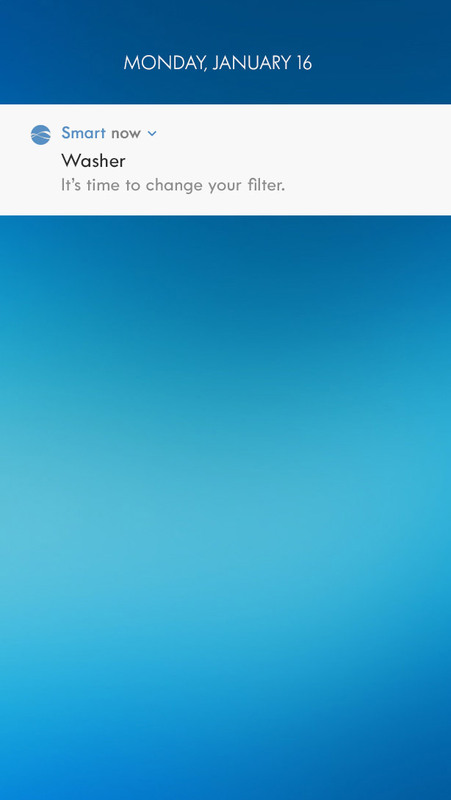 Filter/temperature alerts and airflow control ensure food and water stay fresher. Apple, the Apple logo and iPhone are trademarks of Apple Inc., registered in the U.S. and other countries. App Store is a service mark of Apple Inc. Google Play and Android are trademarks of Google Inc. Amazon, Alexa and all related logos are trademarks of Amazon.com, Inc. or its affiliates. 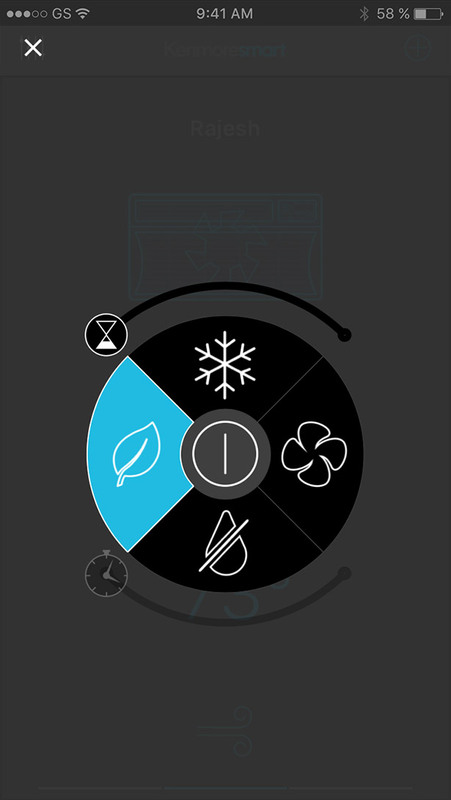 GeniusCool ™ produces dual cooling zones in the fridge and freezer for ideal temp and humidity. CleanFlow ™Air Filter technology removes odor to keep your fridge fresh. AirTight Crisper Bin locks in moisture to keep veggies fresh. SlideAway Shelves and three-tier freezer drawer make storage simple. At work, on the road, on the go — the Kenmore Smart Refrigerator means convenience and peace of mind that lets you be even more amazing. connect now. for smarter living. conserve energy. stay cool. save money. 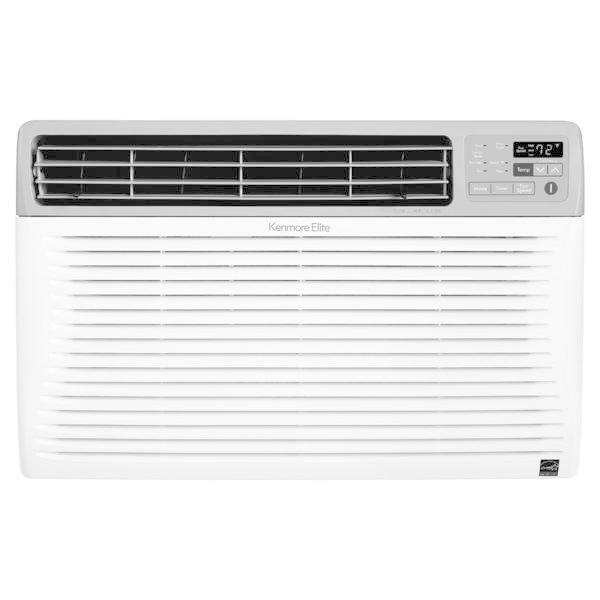 The Kenmore Smart Air Conditioner connects with your smartphone for control anywhere. So check your home’s temperature from the office. Drop it a few degrees before a party. Update settings on vacation. That’s convenience. That's smart. 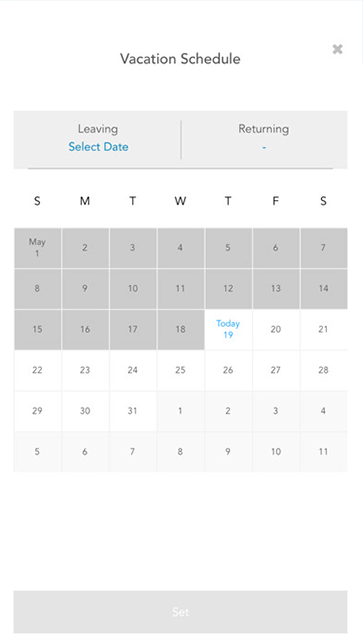 Turn AC on/off, change settings and set schedules at the touch of a button. 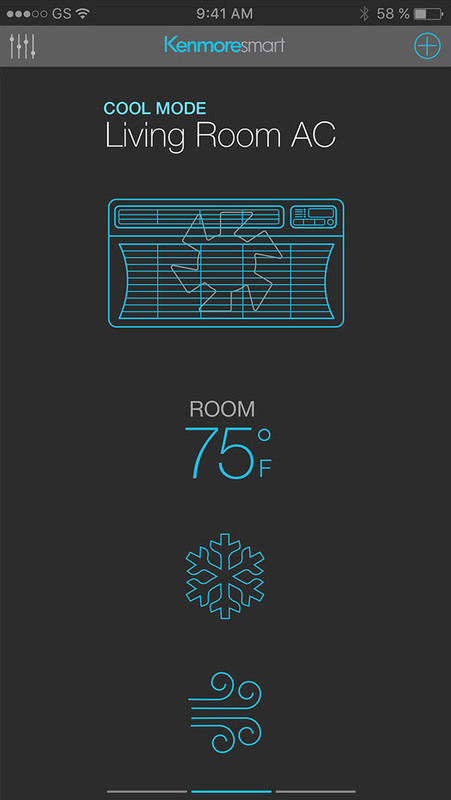 Peek in on real-time temperature data — then adjust or let it be. 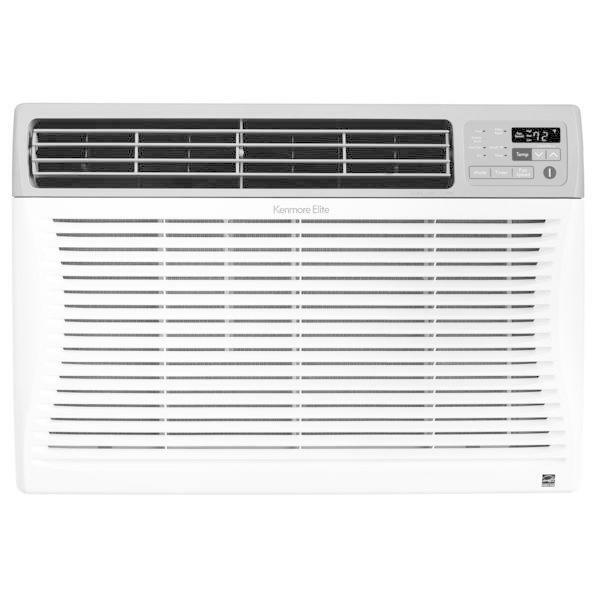 Run AC only when you need, spending less on utilities and more on living. 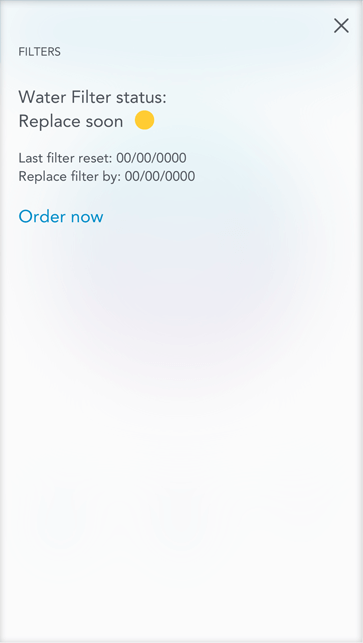 Download the Kenmore AC™ App and follow the simple instructions. Eight-way direction control, three cool speeds and four fan speeds adapt to your space. 12.0 CEER efficiency rating conserves energy and lowers bills. Designed to cool spaces up to 1,600 sq. 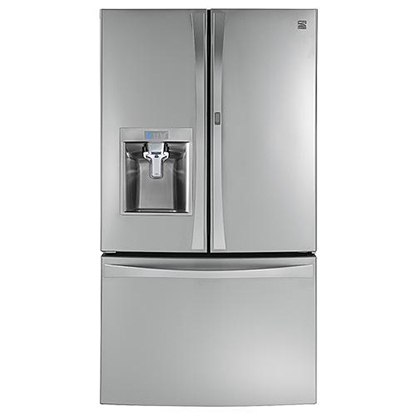 ft.
An electronic LCD panel makes it easy to change temp, customize and set schedules. At work, on the road, on the go — the Kenmore Smart Air Conditioner means convenience and peace of mind that lets you be even more amazing. Cools up to 1,600 sq. ft.
Cools up to 550 sq. ft.
Cools up to 1,000 sq. ft.
Cools up to 850 sq. ft.
less energy. more peace of mind. The Kenmore Smart Water Heater Module ensures you have plenty of hot water without waste and saves you from worrying about leaks. Leaving for a weekend? Turn your smart water heater down. Coming home? Turn it back up. 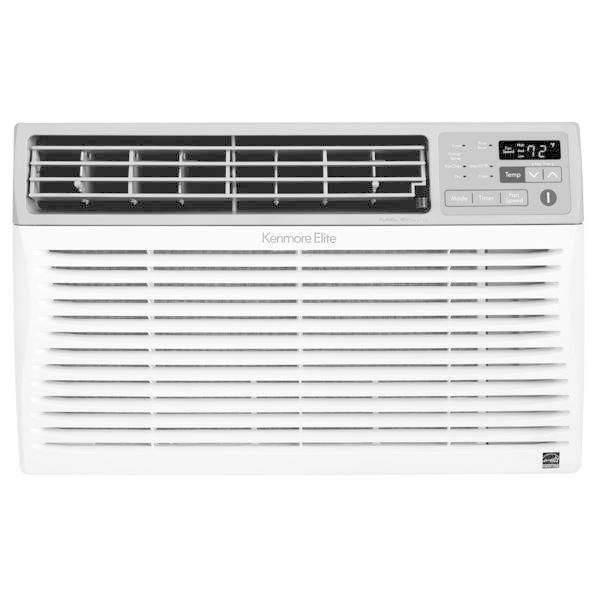 Kenmore makes it easy. 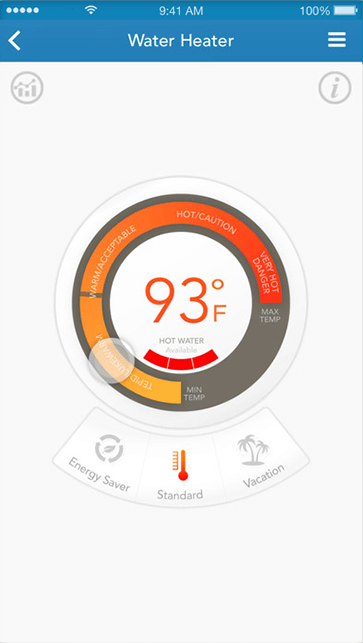 View water levels, adjust temp or set schedules from anywhere to heat just what you need. 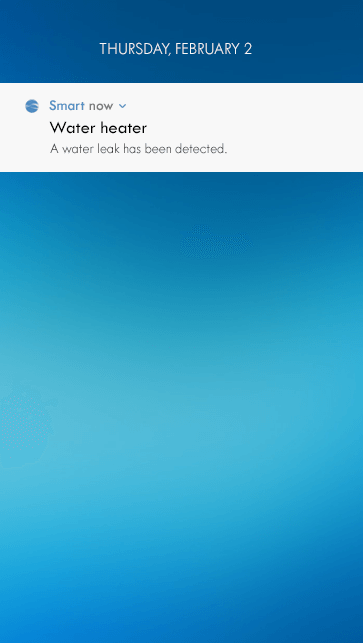 Smart sensors detect leaks and ensure proper function — alerting you instantly. Tailor temperatures to cut unnecessary hot water production and cut back on waste. 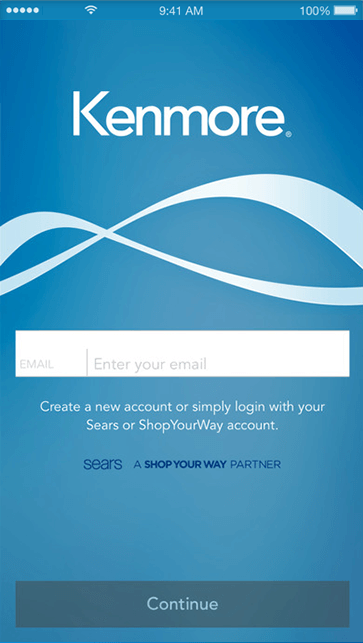 Download the Kenmore Smart app and follow the simple steps. Cobalt Blue Ultra Coat™ Glass Lining protects against corrosion to maximize tank life. Heat Traps and Foam Insulation prevent heat loss, conserve energy and reduce cost. RotoSwirl ™ Self-Cleaning Inlet Tube reduces buildup and maintains efficiency. 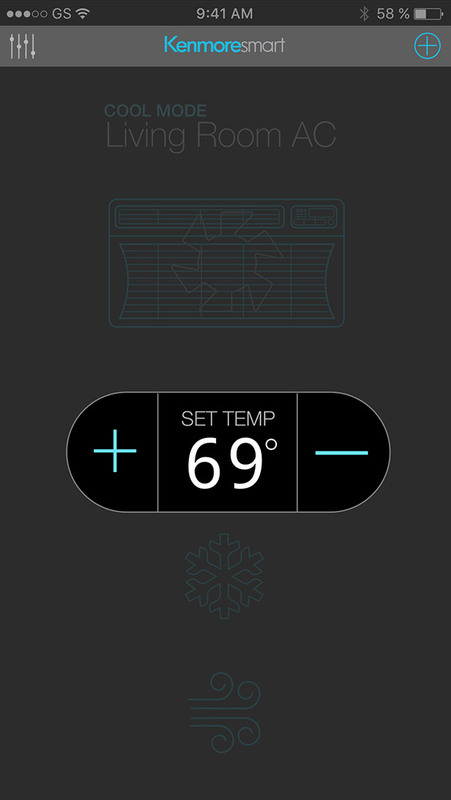 An Electronic Touchscreen makes it easy to set temp, change mode and check diagnostics. At work, on the road, on the go — the Kenmore Smart Water Heater means convenience and peace of mind that lets you be even more amazing. drink clean. wash soft. save money. 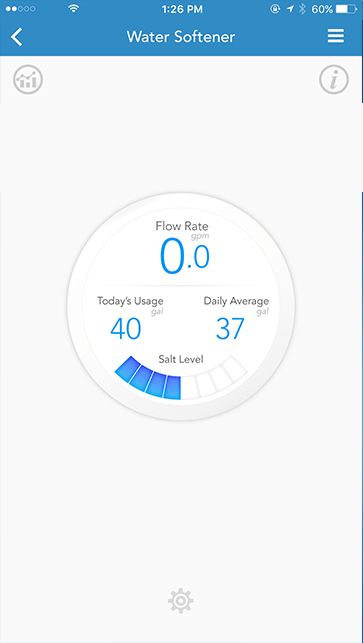 The Kenmore Smart Hybrid Water Softener keeps you in the loop on water usage and salt levels to lower costs, reduce impurities and eliminate surprises. So forget emergency salt runs or changing filters — and enjoy cleaner, softer water. Dual softening/filtration purify and remove chlorine taste/odor without filters. Avoid unexpected trips for salt and reduce unnecessary water use. 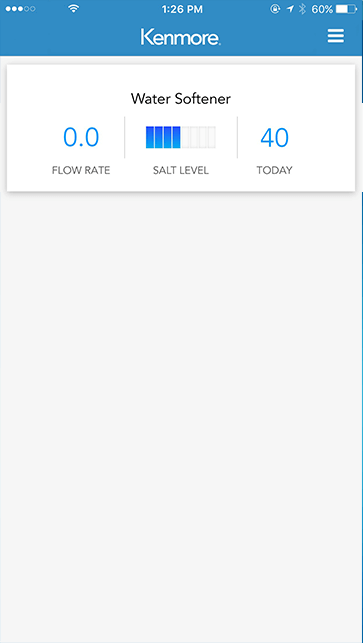 Track flow rate, usage and salt levels — with alerts for low salt or flow issues. 200-pound Salt Capacity lets the softener regenerate automatically. An Extra Carbon Layer removes impurities that a softener alone misses. Cleans water for an entire house without replacing filters. Customize water hard/softness to your preference. At work, on the road, on the go — the Kenmore Smart Hybrid Water Softener means convenience and peace of mind that lets you be even more amazing. 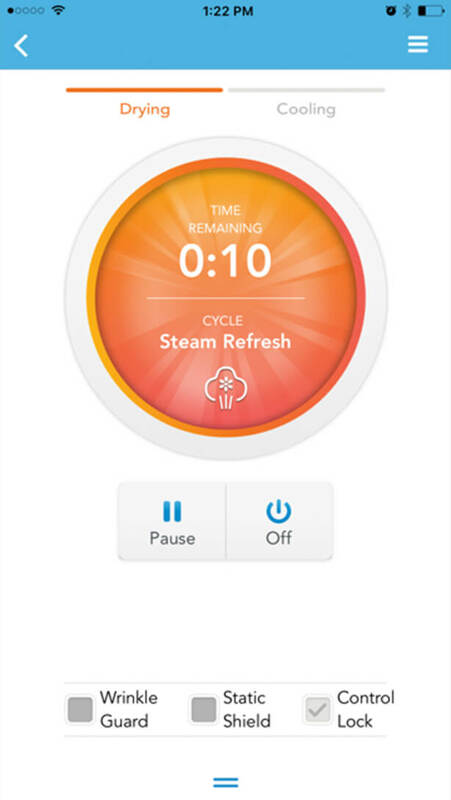 The Kenmore Elite ® Smart Washer connects with your smartphone for a new generation of convenience and peace of mind. So check your laundry from your lawn chair. Set a load to finish just as you get home. You're in control. 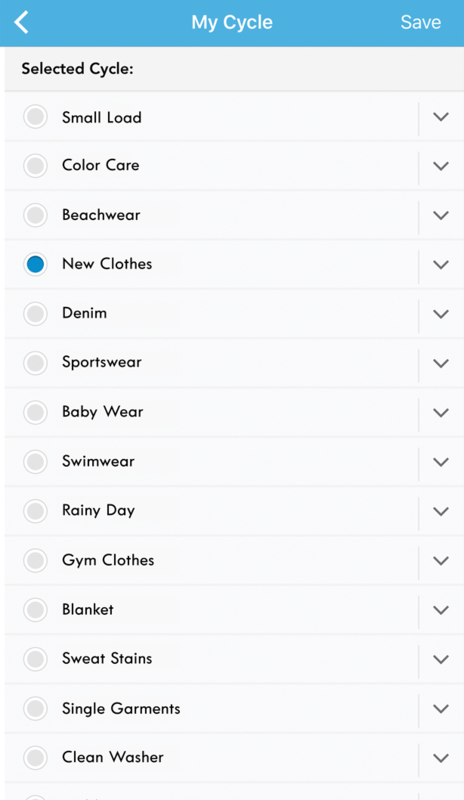 Download new wash cycles and create your own. 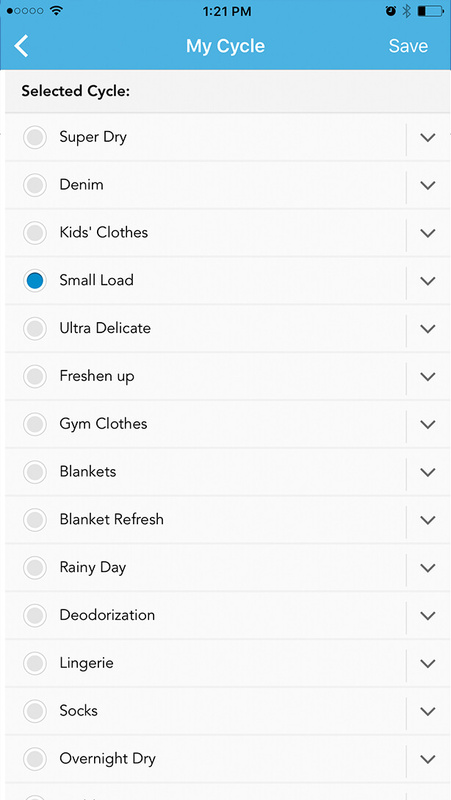 Check washer or dryer status and get alerts when loads finish. 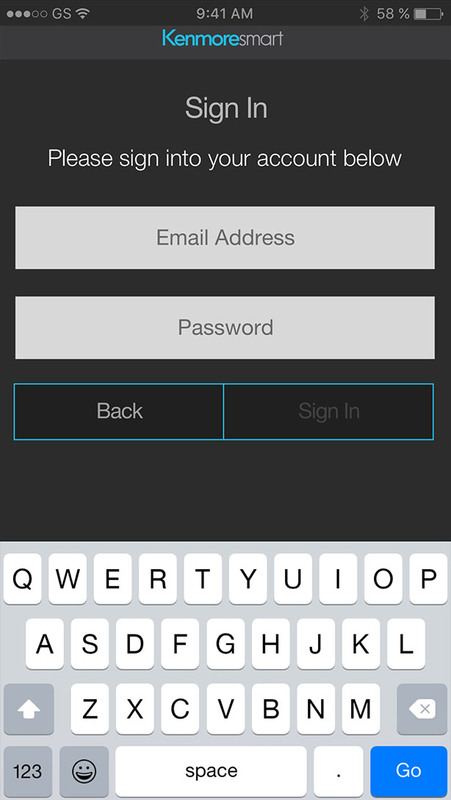 Start a load from your phone or pre-set a start/end time. 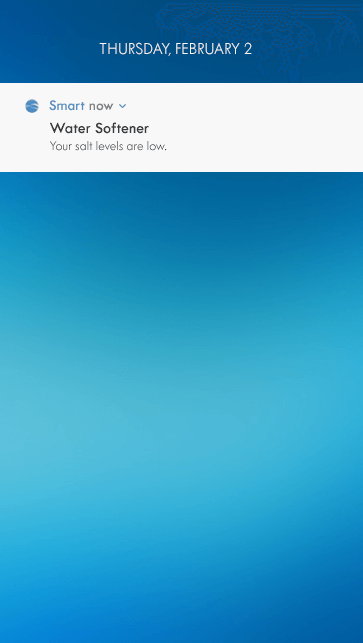 Track usage and receive maintenance alerts. 5.2 cu. ft. capacity fits 28 extra-large towels or an entire king-size bedding in one load. Accela Wash ™ technology gets full loads fully clean in about 29 minutes. Steam Treat lets you skip pre-treating common stains with the power of steam. The Sanitize Wash cycle eliminates 99.9% of certain bacteria without chemicals like bleach. At work, on the road, on the go — the Kenmore Smart Washer means convenience and peace of mind that lets you be even more amazing. 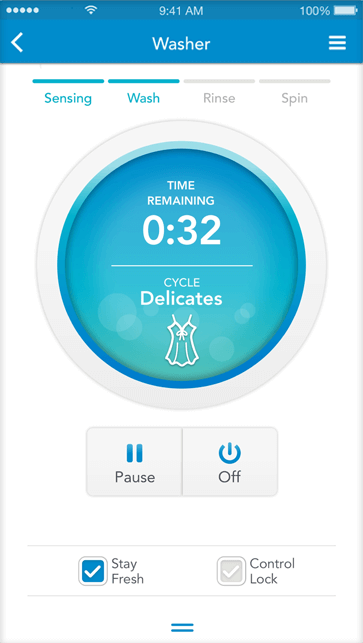 The Kenmore Elite ® Smart Dryer makes it easy to do the laundry on your schedule. 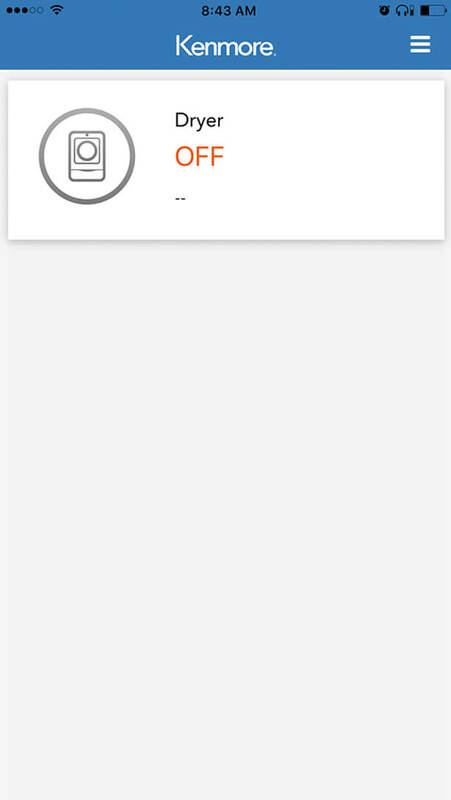 It connects with your smart device so you can stay on top of every load without hovering over the machine. Relax and kick back without worrying about what your dryer is doing. 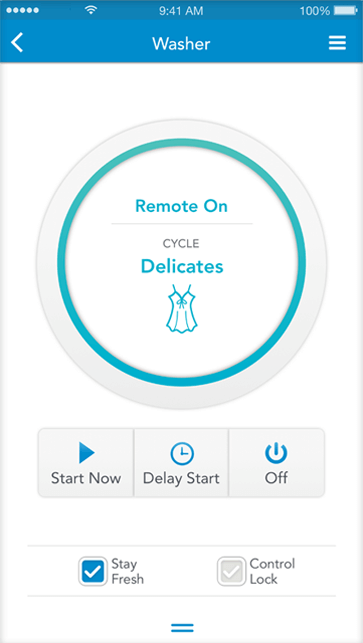 Start or stop your dryer, see time remaining in the cycle and receive maintenance alerts. Control heat and timing with custom dry cycles you create. 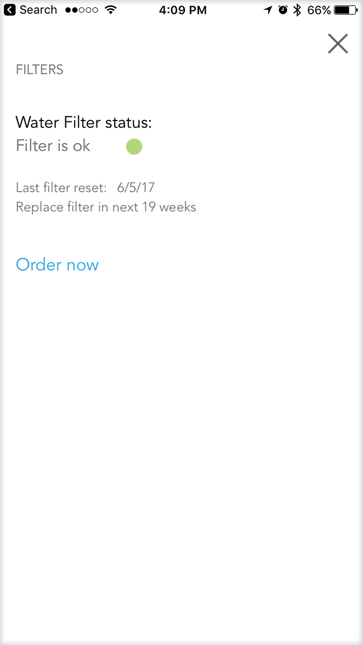 Check your lint filter and get dryer diagnositcs on the go. Large 9.0 cu. ft. capacity can tackle work clothes, towels and even bedding. Accela Steam ™ technology helps reduce odors, wrinkles and static. Quickly shake out wrinkles from your outfit with Steam Refresh ™. 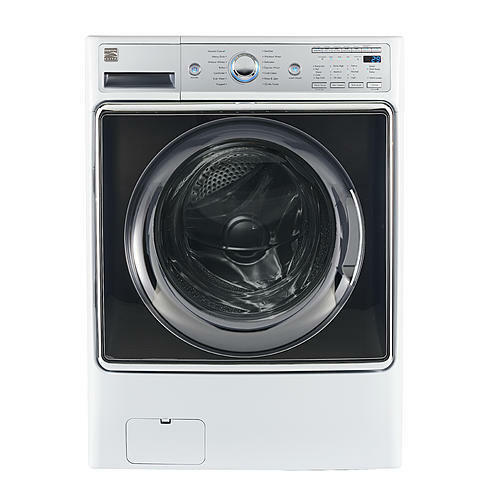 14 dryer cycles provide custom care for everything from delicates to comforters. At work, on the road, on the go — the Kenmore Smart Dryer means convenience and peace of mind that lets you be even more amazing.